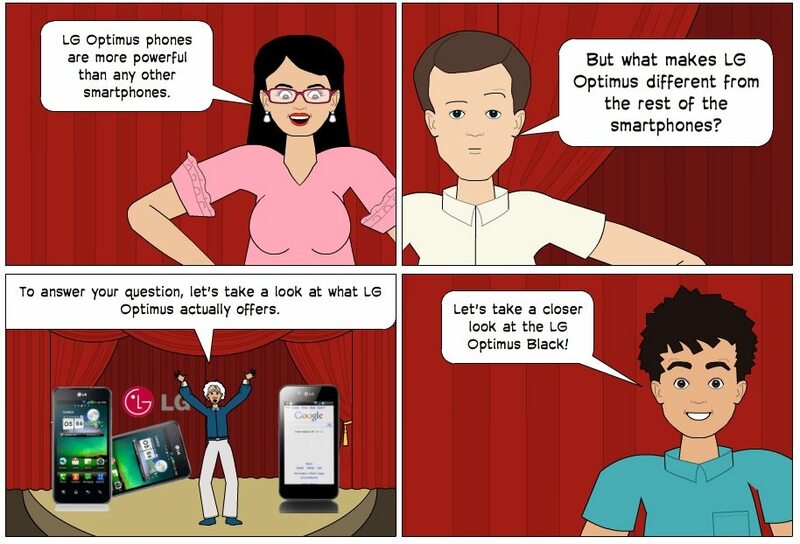 LG Optimus is not just Smartphone, It’s Genius! As a blogger, who loves gadgets and definitely needs them (with my line of work), it is a must for me to have a gadget that can do multitasking even on the go. I cover events, I attend several invites, I go to various blogging-related occasions and do online tasks most of the time. Whenever I’m invited to several gatherings, I always bring with me my laptop, cellphone and my camera, bulky as it may seem but that’s what blogging life is. I have to do online tasks, update my social network status, and do some blogging while attending an event; and this means, taking out my laptop, my cellphone and camera at the same time. This made me think of having a gadget that can do multitasking, just like me, so that I will be able to spare some time enjoying the occasion, without having to worry about carrying several heavy blogging “tools” with me all the time. Now here comes the LG Optimus Black and LG Optimus 2X. Both claim to be capable of multitasking, so I decided to read their specifications so I can decide which one will really suit me. 2 MP camera on the front. Video capture is 720p autofocus, LED flash and geo-tagging as well as face and smile detection. Video capture quality is 1080p. autofocus, touch focus, LED flash, geo-tagging, image stabilization and face and smile detection. 4-inch (800 x 480) LCD reinforced with Gorilla Glass display and multi-touch plus accelerometer and gyro sensors. What makes a smartphone a genius phone? This is the question that LG Optimus Black and Optimus 2x phones are trying to answer. In this technology-dominated generation, having a gadget, like a phone, for instance, is not just enough. We tend to look for best features, best quality that is worth its cost. 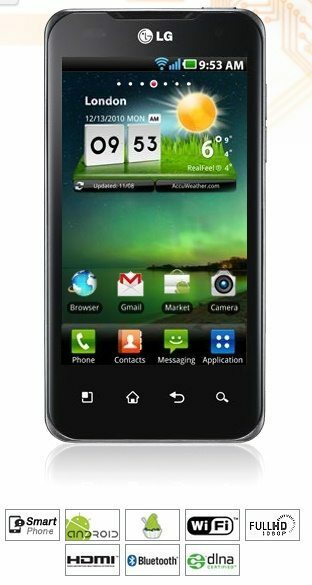 LG Optimus Black is equipped with a 4.0 inch WVGA (800 x 480 pixels) LCD capacitive touch screen with NOVA technology. NOVA display (the world’s first 700-nit IPS LCD) offers better outdoor visibility, clearer readability, more natural colours and 50% power saving compared to conventional LCDs. LG Optimus Black offers excellent battery life since NOVA Display automatically adjusts its brightness sensing the amount of light needed, and it saves 50% energy under regular settings. (compared to regular LCD). It also features the Wi-Fi Direct technology, which claims faster local file transfers than Bluetooth 2.x, and is as easy to set up as Bluetooth. With Wi-Fi Direct, you can ejoy fast and easy data transfers without any AP(Access Point). The LG Optimus Black is the most trendy smartphone with the best display in the market. It has slim & light body, measuring 6mm at its thinnest point and 9.2mm at its thickest point, only weighs 109g and features a seamless uni-window front and an invisible receiver. Both LG Optimus Black and Optimus 2X have the capacity to do multitasking at a faster rate, but of course, I will go with the LG Optimus 2X because of its dual core processor that makes it “move faster” – thanks to Nvidia technology. Because of Nvidia, LG Optimus 2X has both the Tegra 2 chipset and a ULP GeForce graphics processing unit. Tegra 2 can allow me to multitask without ever getting bogged down – it’s like bring a netbook with me! LG Optimus 2X runs at 1GHz making web browsing and gaming performance faster compared to any other Smartphone with a single core processor running on the same clock-speed. So, I don’t need to bring a bulky laptop anymore during events because I can do blogging and stay “connected anytime, anywhere” without having to wait for takes-like-forever- loading. I’m also pleased with the 2X’s 8-megapixel camera and LED flash with a higher resolution of 3264 x 2448 pixels. Although, it’s not like a DSLR camera, still it can capture “moments”, at the right time that are worth blogging. With this, I don’t need to uncomfortably bring my DSLR camera anymore because LG Optimus 2X will now do. As for its video functionality, user reviews mentioned that they saw no obvious processing lag or frame rate stutters at all, this is because video can be recorded at resolutions up to 1080p. Another feature of LG Optimus 2X that also caught my attention is the internal storage/memory. With 8GB (not to mention the additional expandable external memory of up to 32GB), I can capture moments with either still photos or video anytime and I don’t have to worry about my memory space! File sharing is also not a problem due to Optimus 2X’s Wireless smart sharing capability through DLNA which allows you to share and transfer wirelessly. Battery life is also one of the major factors that I consider. Since I am a blogger, who is always on the go, charging every now and then is not my cup of tea. Because attending events require me to take a lot of pictures, record videos, surf online (at the same time through either WiFi or WAP) and not to mention occasional texting and calling during the events and some mobile gaming activities (whenever I’m bored) longer battery life is always a MUST; and this is why I certainly love Optimus 2X. Although there is no official release regarding the battery life (in hours), I know it can last long because Tegra consumes less power plus it uses 1500mAh Li-On battery. Lastly, but definitely not the least, another special feature of this phone that I won’t be able to resist is the HDMI (High Definition Multimedia Interface) mirroring, where it allows the phone to be connected, through HDMI port, to the HDTV. Now, this is genius! It can allow me to clearly see, through HDTV, what I am browsing or whatever it is that I’m doing with my phone (granting that I have the budget to buy it). The HDMI cable, which is included in the package, is put to good use providing 1080p video contents thus video quality looks sharp and plays back flawlessly. HDMI mirroring is also an “eye candy” feature for me because it can enhance gaming capabilities when the phone is connected to HDTV. Graphics are detailed especially when playing 3D games. LG Optimus 2X has a 122.4 x 64.2 x 9.9 mm dimension weighing only 139 grams, it has an uninterrupted slate of glass that covers the entire front. Since LG is known for its uncomplicated design, there are 4 capacitive touch buttons, along with a front-facing camera just to the right of the LG logo. The 4-inch (800 x 480) LCD is reinforced with Gorilla Glass display and multi-touch plus accelerometer and gyro sensors. It has a flexible matte plastic cover that accounts for its entire rear section. The back rear of the unit has a silver column running through the middle showing off the Google name. The 8 MP camera at the rear portion also has a protective glass cover to shield the lens from scratches. What can I say? This small but powerful gadget is an all-in-one phone that can complete my blogging life and accelerate and enjoy my mobile experience. Life’s Good! Previous Post: « Watch Team Azkals in action through the Cortal SQR Facebook Promo! NICE!!! galing ng comic ehehehehe :)) love it!! genius!!! You really have a nice presentation of everything! I love how well you presented the features of the phone! I might need to check on it too! winner sa entry sis…bilib talaga ako sa comics-style ng posts mo. parang naririnig ko kayo ni montch na nag-uusap nyahahaha. may entry din ako sa contest na ‘to, nasa drafts pa rin hehehe. winner talaga sis iris! kinakabahan tuloy ako sa entry ko haha! wow!! i want a Genius phone too!!! woot what a nice entry!! good luck!! i hope you win!